How exciting is this? Two big wax posts in a row! My January Sniff My Tarts custom order arrived a week ago and I am stoked to share with you the creations I made. I think I was rather tame this time around. Scents were pretty much chill and everything fit nicely in a large flat rate box. I got one peppermint centric sheet cake, several frosted cookies and a few chunks and macarons. The large frosted cookies ($5.20) are always my favorite way to blend. Every time they open I buy the max amount allowed. Amy and Donna allow for up to three scents blended in a frosted sugar cookie that is about 4 ounces or so. I end up cutting them into quarters to melt. Lemon Curd/Lavender Berry/Tuberose & Jasmine is a cheerful and vibrant fragrance and turned out quite nice. The lemon and berries set off the white flowers in a pretty manner. The lemon is strongest then the lavender berry (where the berries are a juicy mixed lot- this scent is very good) with a pinch of the heady florals. Excellently blended in just the right portions. 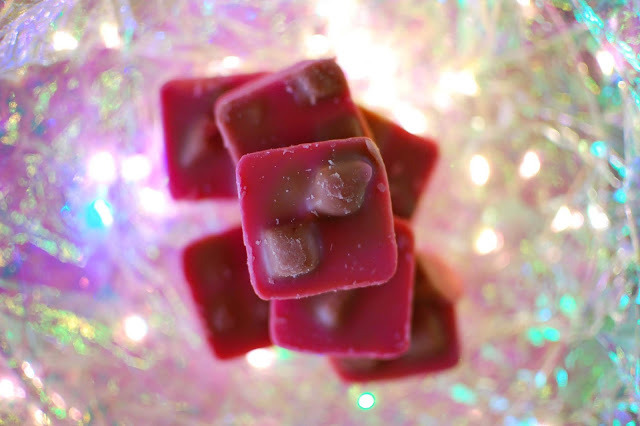 Vanilla Sandalwood/Pink Sugar/Marshmallow Noel wraps the nose in creamy vanilla musks and cotton candy hued sandalwood. I love it. This blend is marshmallow forward and ultra heavy on the vanilla, in the best way possible. 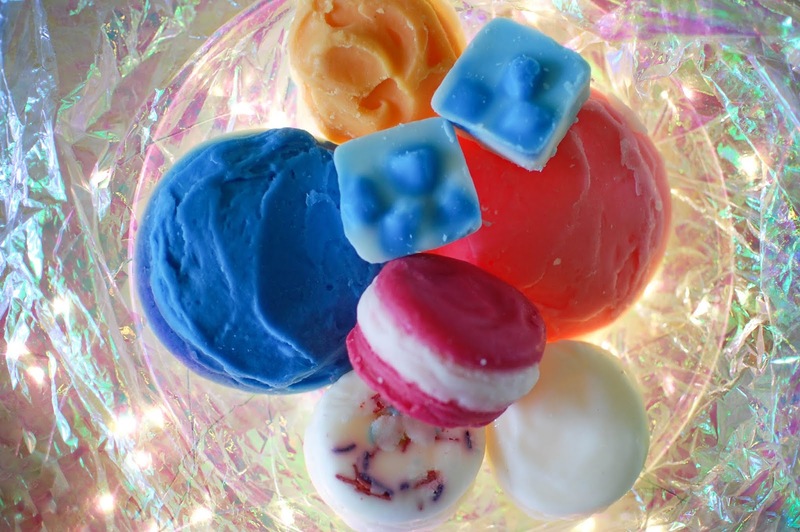 Vanilla Sandalwood/Pink Sugar/Lord of Misrule amps up the Lord of Misrule and twists it into a vanilla rich treat. This is my favorite version of Lord of Misrule... extra sweet and candied. Banana Nut Bread/Honey Gingerbread/Celtic Moonspice smells very rich and moist, like a freshly baked dense loaf of banana bread sprinkled with cinnamon. The bananas in this are ripe and sweet and not candied at all. I am impressed and look forward to melting this at the end of August when I get ready to transition into fall melting. By the way Honey Gingerbread is stellar. One of my favorite dense spiced bakery scents. Celtic Moonspice rocks too for a more non-bakery spice. 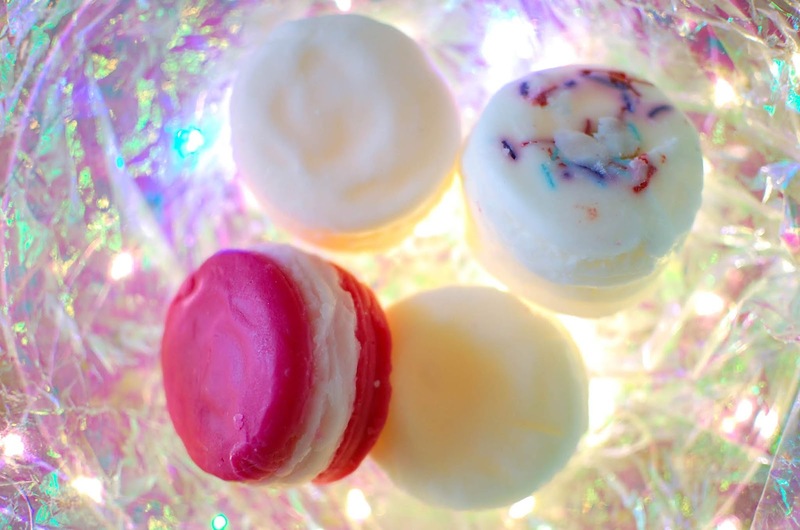 These fat cute macarons ($3.25) are for single scent notes and and weight about 2 1/2 ounces each. I picked up four scents, two I know I love and then I wanted to compare two. Marshmallow Noel & Candy is a favorite of mine. 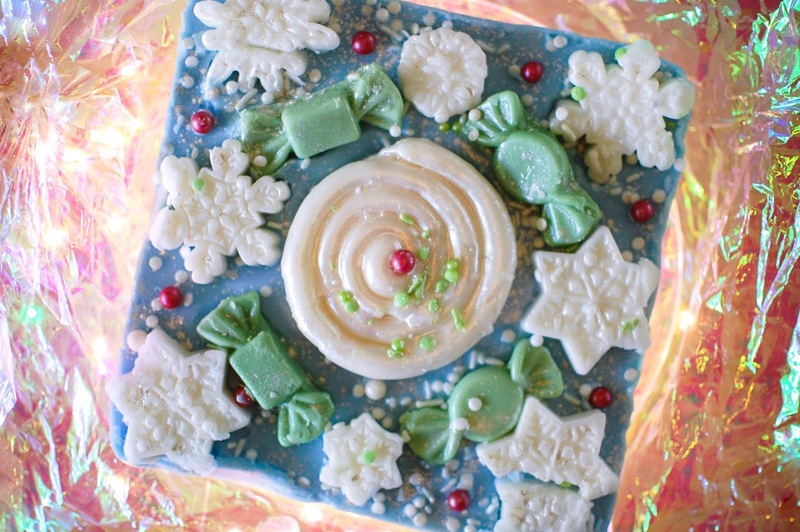 A cheerful blend of sweet marshmallows and vanilla bean noel and peppermint candy canes. No fruity notes and tons of wintery tidings. Peppermint Swizzle Sticks is the true scent of a pure peppermint candy cane, the kind that come in sticks and melt away slowly in your mouth. Gosh I love those things. The kind that get melty and soft? 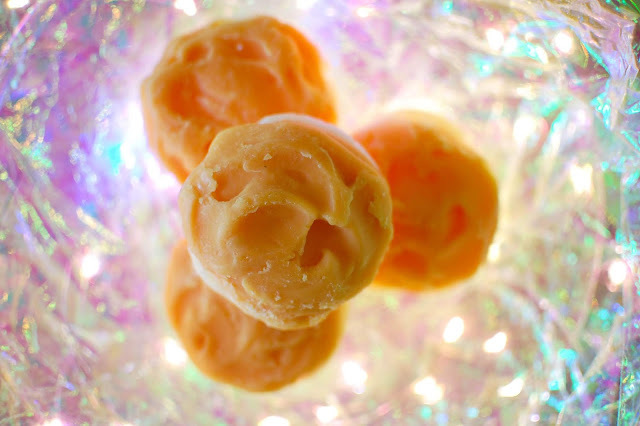 That almost dissolve instantaneously from old time candy stores? Yes. Campfire Marshmallows and Marshmallow Fireside Type are two I picked up for a little showdown. Good gosh these are remarkably similar. They both have lightly smoked vanilla marshmallow plumpness but the difference is very subtle. To my nose, Campfire Marshmallow has a touch more marshmallow sugar to its blend. Marshmallow Fireside has more of a creaminess and deeper woods. But this is only *just* a tinge of difference. 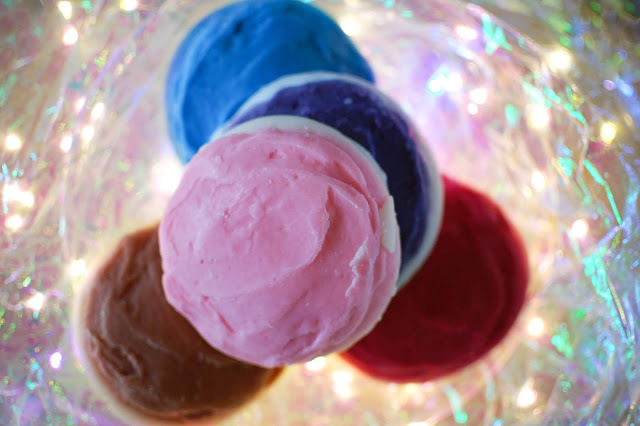 Mini Frosted Sugar Cookies ($8.00) are another way to get a nice amount (about 6 1/2 ounces) of a single scent. Pumpkin Vanilla Marshmallow sounded like something I would enjoy for fall but I am not sure it is a scent that is for me. It is a strong pumpkin puree with almost a cream cheese component. There is a thick vanilla sour cream vibe going. I cut a cookie in half and melted it in the kitchen and living area and it threw strong, though it still had the slightly sour edge. It might do well blended with some spice. No-Fuss Chunks ($10.40) are my jam. They are easy to grab and melt. Marshmallow Fireside/Blue Sugar/Marshmallow Noel came out marvelously. 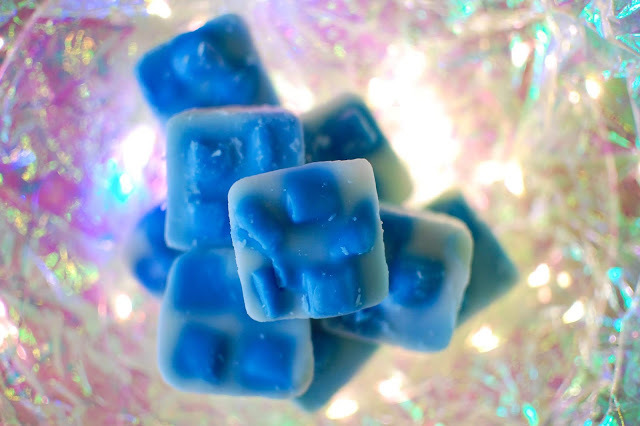 The vanilla anise woods and musk of Blue Sugar swirl about mounds of sweet marshmallow cream with a thin tendril of smoke. Beyond happy with this. Now I want to make a million other Blue Sugar blends. Peppermint/Marshmallow Fireside/Vanilla Sandalwood surprised me when I pulled it out of the box. Sometimes I wonder why I came up with a particular blend. This was one of them. But I am thrilled I did. That Sniff My Tarts Peppermint blows me away and I swear I could mix with it for all of eternity and never tire of it. Here is pulls as minty woods and I adore it. Simply adore it. I had to get a decorated sheet cake ($27) as it is kind of a tradition. And it must have peppermint in it. See statements made above. 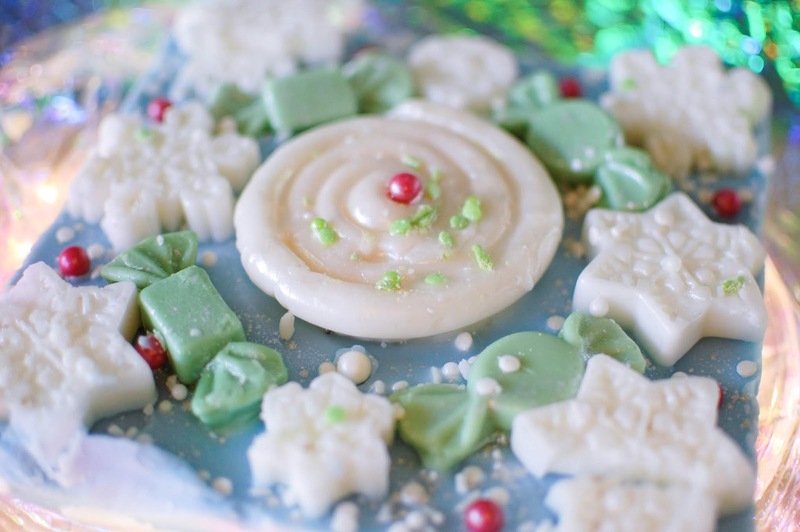 Peppermint/Spearmint/Lord of Misrule takes me back to a sheet cake I made a while back. I missed the mix of Lord of Misrule and mint. The vanilla musk, patchouli and mints go remarkably well together. Look how pretty she is!! 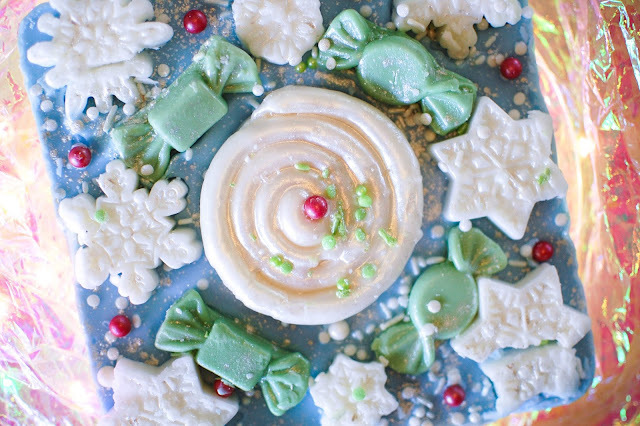 All wintery and sweet and sprinkled with love. Amy and Donna really poured their hearts out and I am over the moon happy with my order. I cannot wait to order again! Jay and Sandra got together and wanted to showcase some of their favorite Sniff My Tart blends in preparation for the next opening. I am joining them in posting some of my favorite SMT blends from the past too, look out for a post all about our top blends (excluding this new order) in a few days! What blends are you thinking of getting? I love the clove combinations ❤️ Your descriptions always so enticing. Thank you for those marshmallow comparisons, I was curious about how they differed. I'm thinking about getting plain marshmallow fireside to blend with. And thank you for reviewing pumpkin vanilla marshmallow. I was thinking about blending it with creamy zucchini, but I'm thinking it'd all be just too bakery for my taste. I was curious when I saw two that sounded the same, turns out to my nose they are basically similar. I do think that version of Pumpkin Vanilla Marshmallow would be too much with zucchini, but VBN or Marshmallow Noel with their Sweet Pumpkin would work nicely. <3 Excited you are ordering. I cannot wait to see what you get. Thanks for your input on that zucchini blend. That cake is to die for, it's the best SMT creation I've ever seen. I'm excited to blend with Vanilla Sandalwood this time and I'm a little nervous but I'll be trying Butterbrickle too. I've already submitted by order list to who is doctoring it up, but will likely swap Vanilla Snowflakes in for a peppermint (sometimes peppermint is too much for me) When you see my list, you'll see a LOM/mint inspired by the scent you gifted, it was so memorable, thanks again. Thank you!! They really did a fabulous job on it. The Vanilla Sandalwood really is a lovely scent. Butterbrickle is one I adore but it is dense and a touch sharp. I tend to blend it when I want a really strong caramel. Deb hates it. It isn't for everyone. But I like it. I hope their Vanilla Snowflake is strong. It will be my first time using it. That Wild Mountain Honey is nice but uber strong. A little flowery and powdery but nice with lemony tones to the honey. All the clove for meeeeeeee hahahahaa! That should have said order list *to Sandra* but she disappeared somehow. They really did do a fabulous job on the sheet cake. I love how they are always a surprise. Dang! I wish I would have read this sooner. I have not tried their Pumpkin Marshmallow Latte. They have another opening tonight so maybe I will squeeze in another tiny order. And hot damn! That honeyed gingerbread/apple cider latte... girl you are making me want to more fall yummies.